Pyramid switches and switch plates have been discontinued by the manufacturer since the mid 1980's. You are no longer able to purchase Pyramid light switches or wall plates like the ones we have pictured to the left. The picture is simply a representation of what was previously available and is used to help you identify your low voltage system. Pyramid parts were later replaced by Remcon switches and switch plates, which have also been discontinued as of 2011. Fortunately, compatible relays are still in production. Upgrade Options You can replace the switches and the switch plates by following the same Remcon Replacement options and converting over to the Touch Plate low voltage system. As with Remcon, Pyramid was a 3-wire system, so when replacing switches with 2-wire Touch-Plate control stations you must double the number switches you are using. This is because the up/on motion corresponds to one switch while the down/off motion represents another switch. 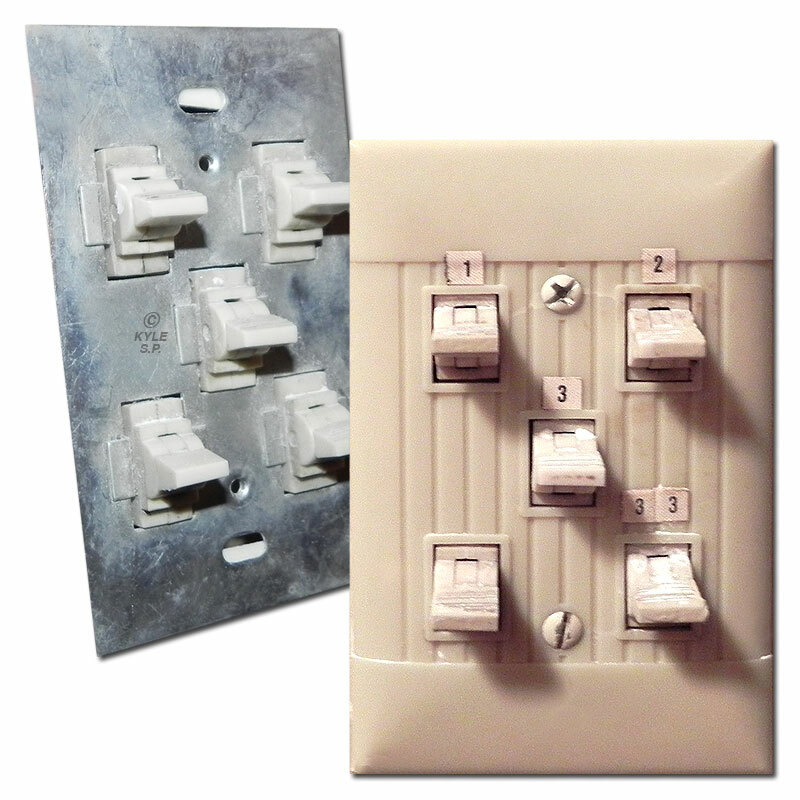 There is no option to replace just the switch plates for your Pyramid low voltage switches. Replace your Pyramid or Remcon relays with the current Remcon relays, which are listed for purchase below, along with Touch Plate switch units that can be used to replace Pyramid low voltage switches and light switch covers. The Touch Plate units listed below are only shown in white, but they also come in almond and ivory. Shop Touch-Plate Switches and Cover Plates for all color and style options.